(Nanowerk News) Astronomers at The University of Nottingham have released spectacular new infrared images of the distant Universe, providing the deepest view ever obtained over a large area of sky. The team, led by Omar Almaini, Professor of Astrophysics in the School of Physics and Astronomy, is presenting their results at the National Astronomy Meeting taking place this week at the University’s Jubilee Campus. The final data release from the Ultra-Deep Survey (UDS) maps an area four times the size of the full Moon to unprecedented depth. Over 250,000 galaxies have been detected, including several hundred observed within the first billion years after the Big Bang. Astronomers around the world will use the new images to study the early stages of galaxy formation and evolution. The release of the final UDS images represents the culmination of a project that began taking data in 2005. The scientists used the United Kingdom Infrared Telescope (UKIRT) on Hawaii to observe the same patch of sky repeatedly, building up more than 1,000 hours of exposure time. Observing in the infrared is vital for studying the distant Universe, as ordinary starlight is “redshifted” to longer wavelengths due to the cosmological expansion of the Universe. 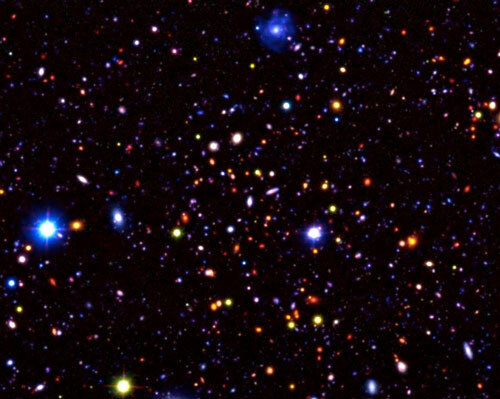 Because of the finite speed of light, the most distant galaxies are also observed very far back in time. The UDS is the deepest of five projects, collectively known as the UKIRT Infrared Deep Sky Survey (UKIDSS). 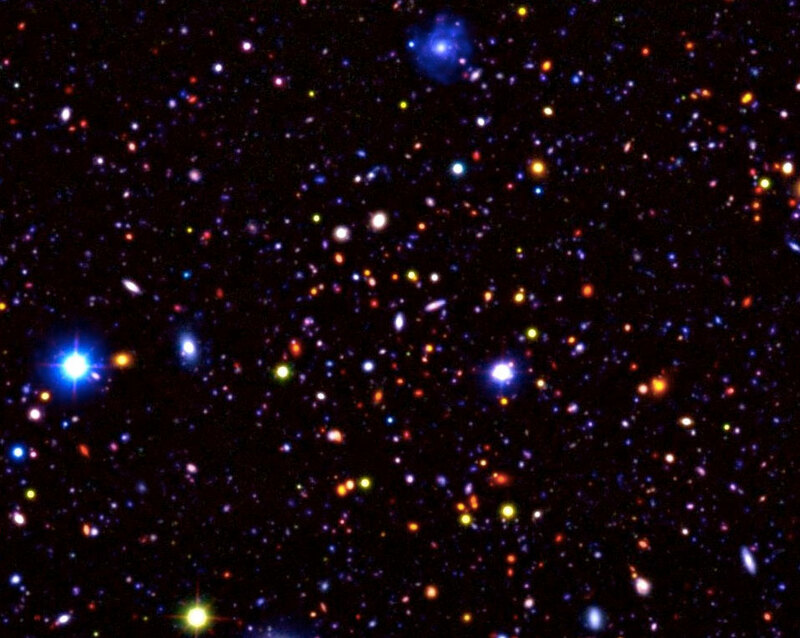 Earlier releases of data from the UDS have already produced a wide range of scientific advances, including studies of the earliest galaxies in the first billion years after the Big Bang, measurements of the build-up of galaxies through cosmic time, and studies of the large-scale distribution of galaxies to weigh the mysterious ‘dark matter’ that pervades the cosmos. The added depth from the new release is expected to produce many new breakthroughs.